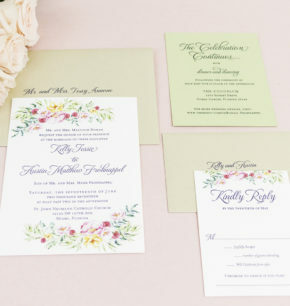 This couple wanted to showcase all the bright and fun florals of their summer wedding decor. 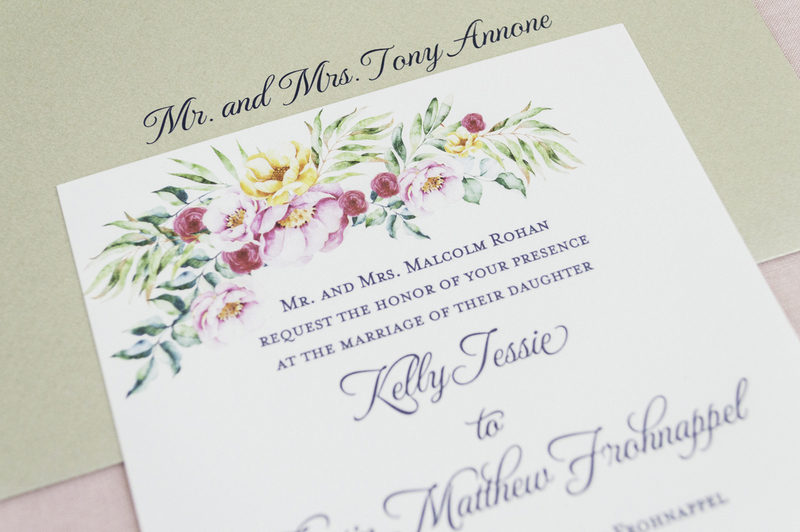 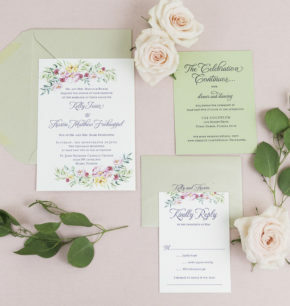 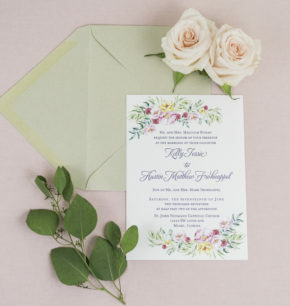 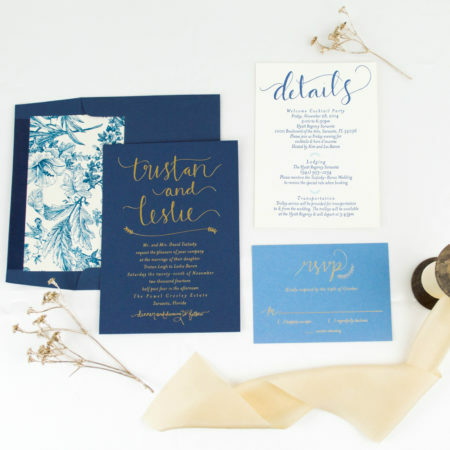 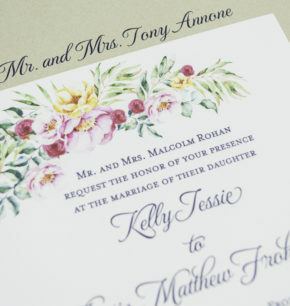 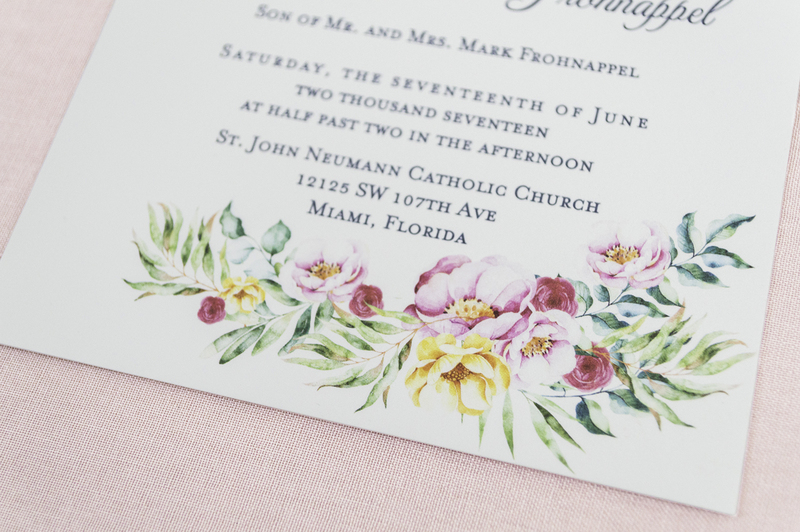 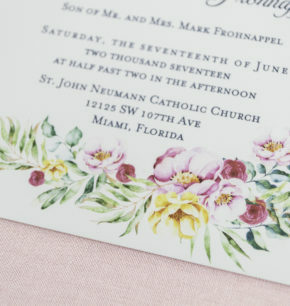 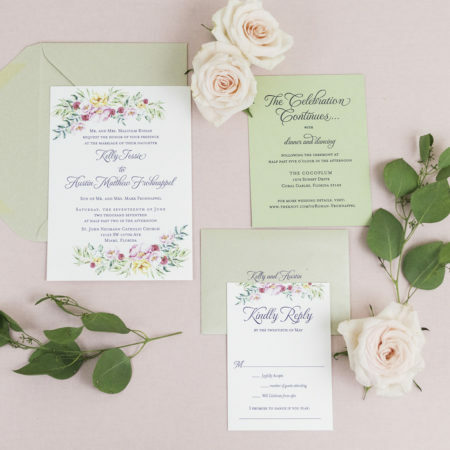 To bring their vision to life, we created a custom watercolor floral motif with lots of bright color, and we letterpress printed the wording in a beautiful navy ink. 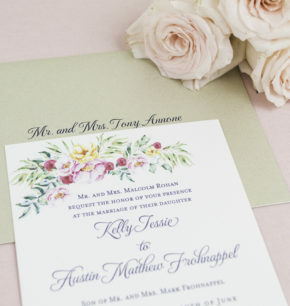 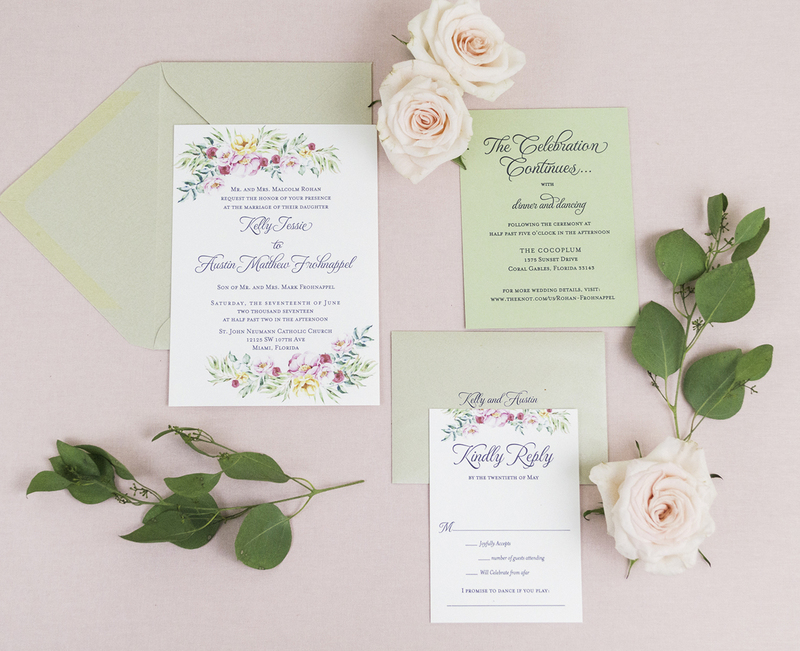 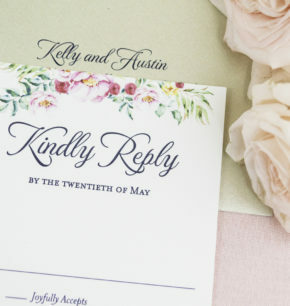 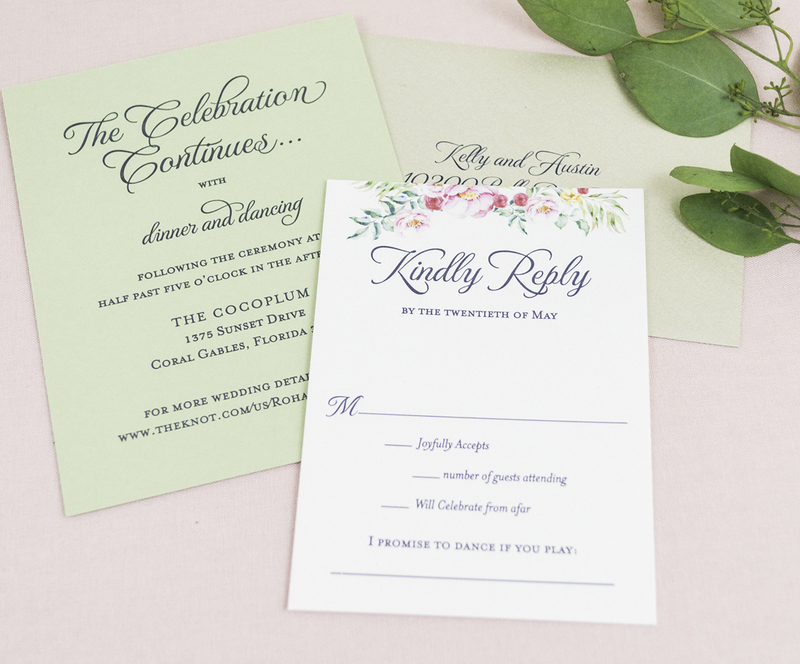 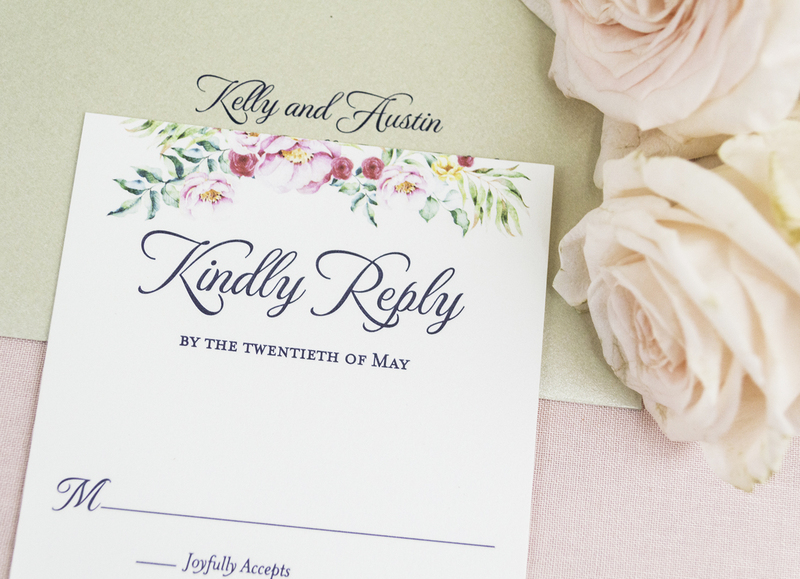 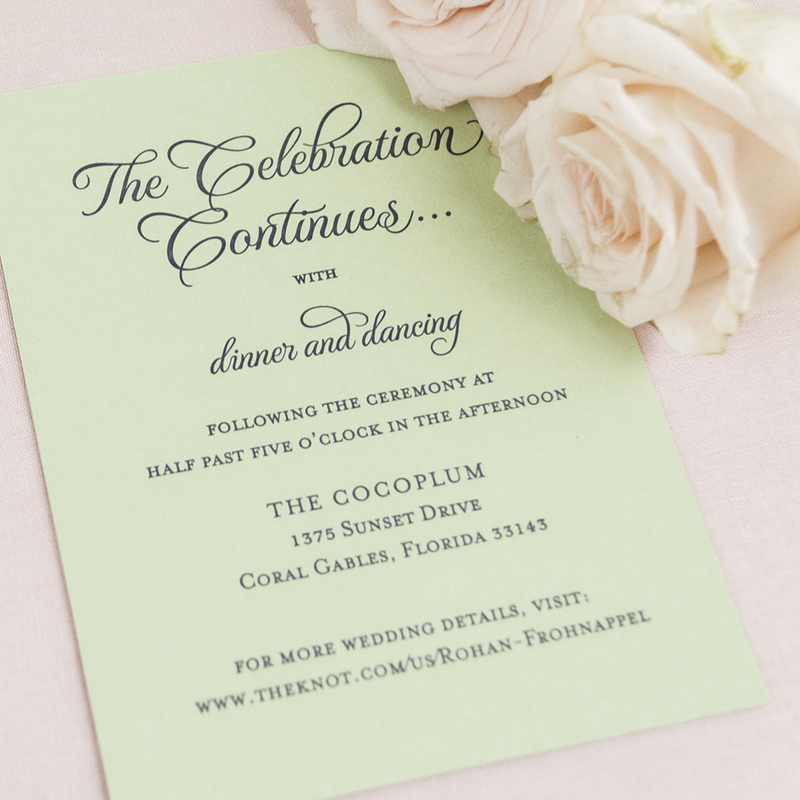 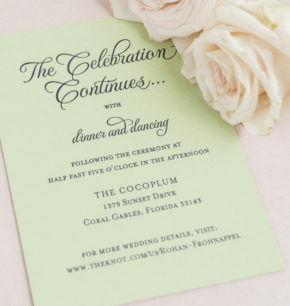 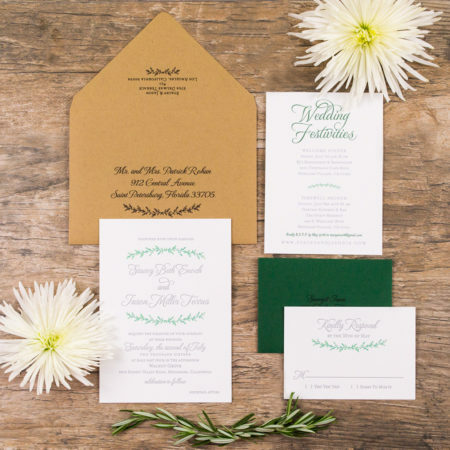 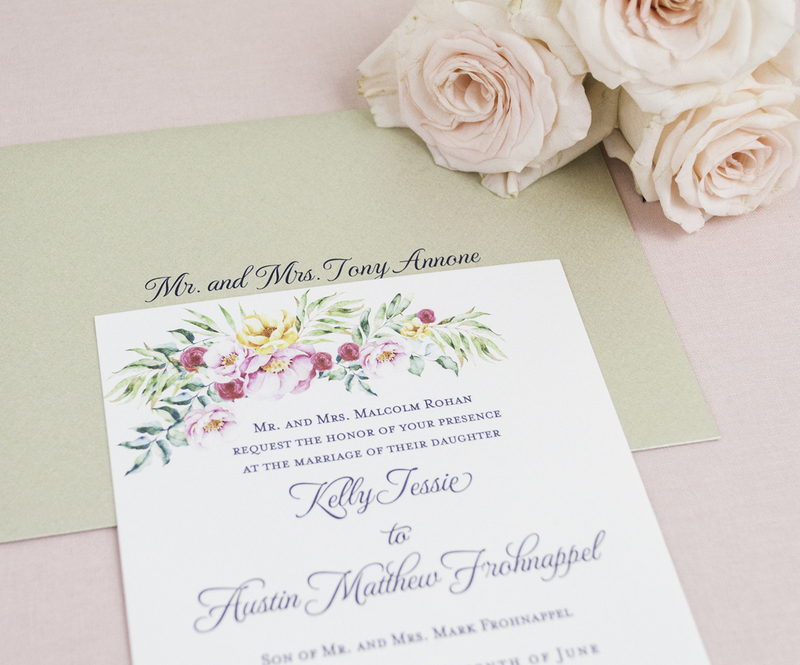 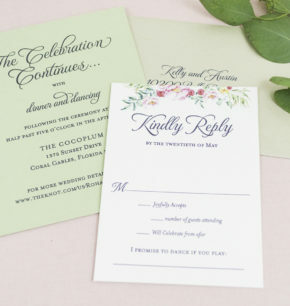 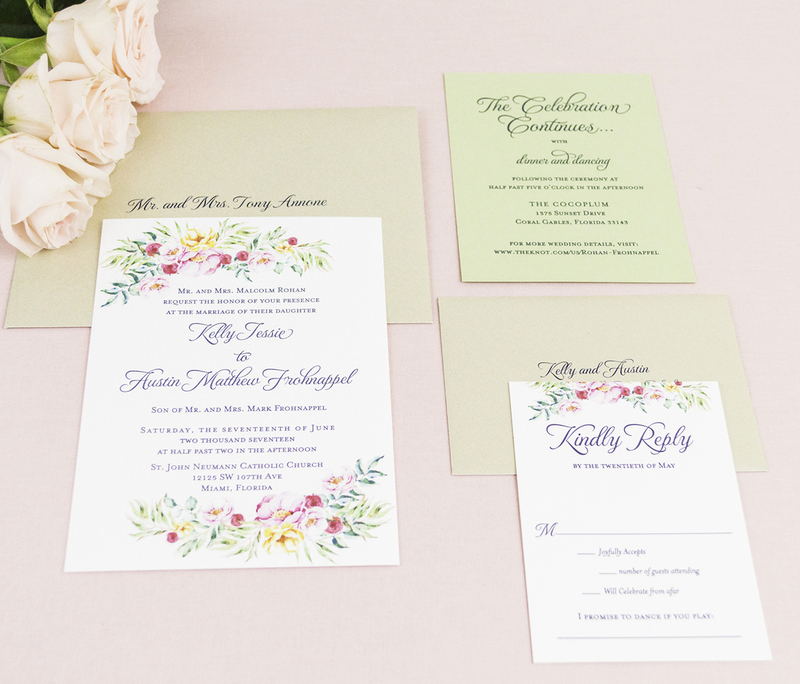 We also incorporated her wedding colors by printing the reception information on a sage-colored paper. 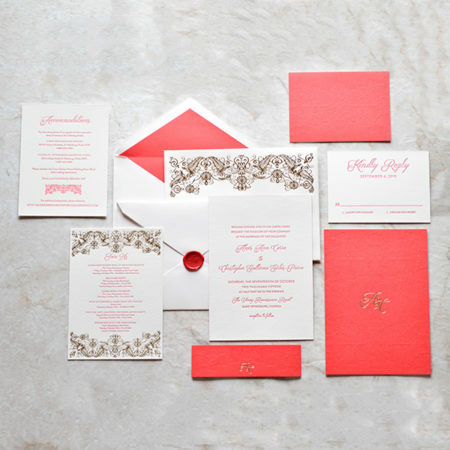 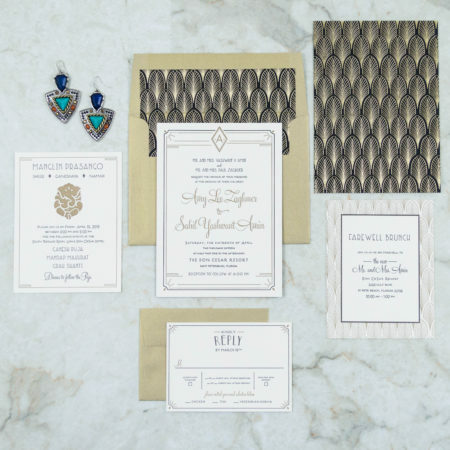 As a final touch, we paired each invite with a beautiful pearlescent champagne envelope.